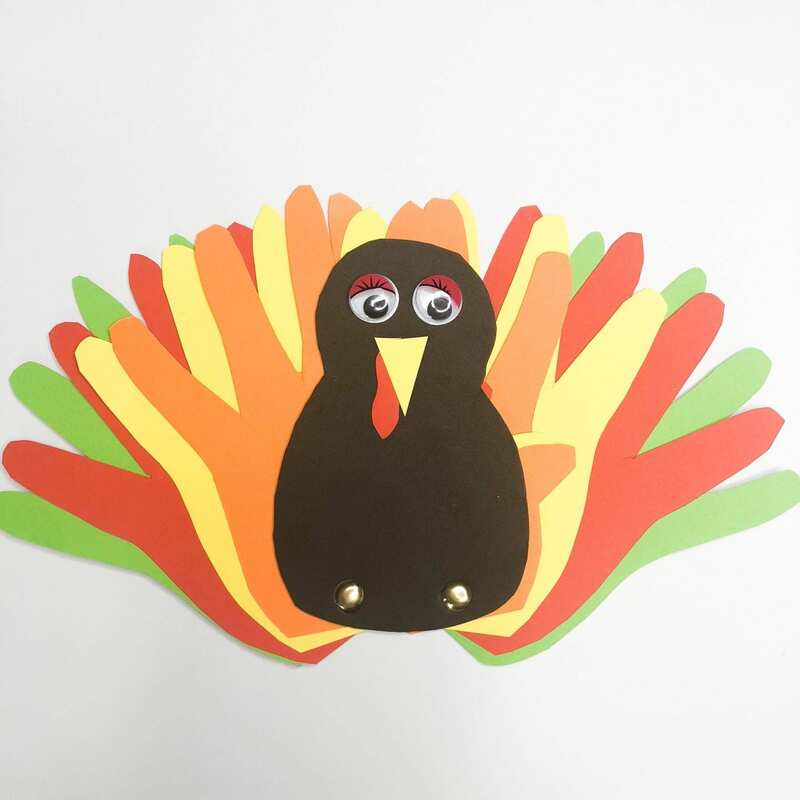 Although we don’t celebrate Thanksgiving, we have recently had Harvest festival, which is when we give thanks for the harvest, so the kids were able to draw lots of similarities from that. We talked about the big feast that people have to celebrate, and how we need remember to be thankful and what we are thankful for! We also watched the parade in New York on the iPad which the kids loved! Brown is the turkey with stuffing to adorn. Five delicious colors in a feast of my dreams! 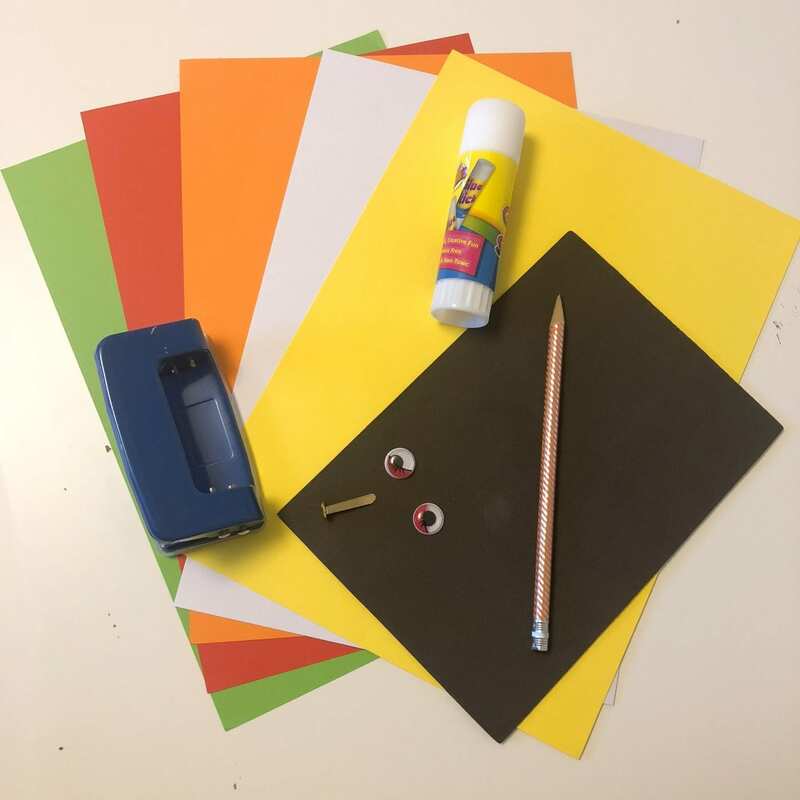 So we knew we had to include these 5 colours in our craft project. 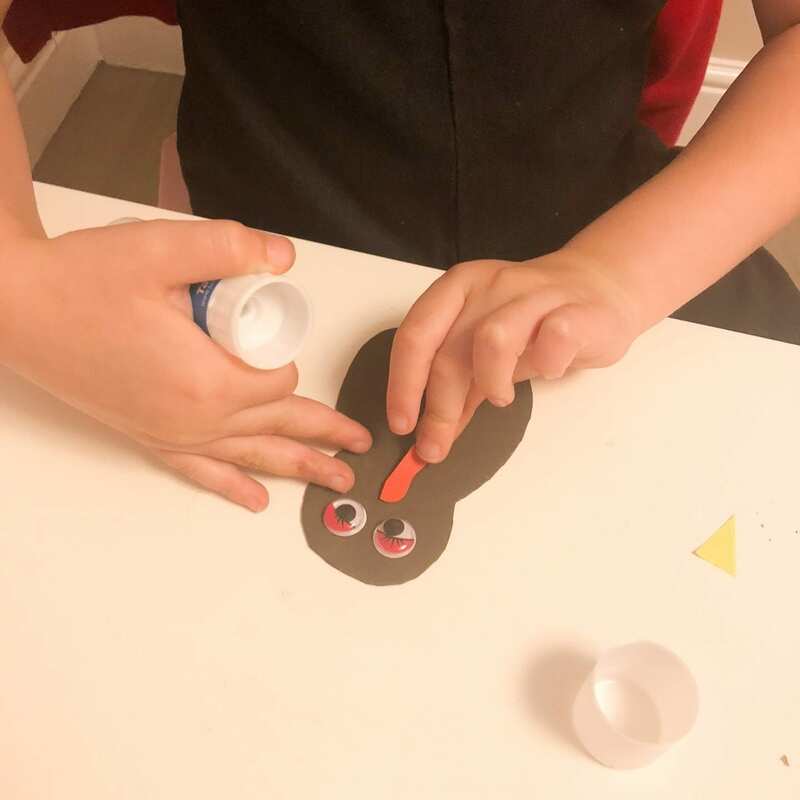 After looking at various images on Pinterest, Isla was not surprisingly set on making a turkey craft. 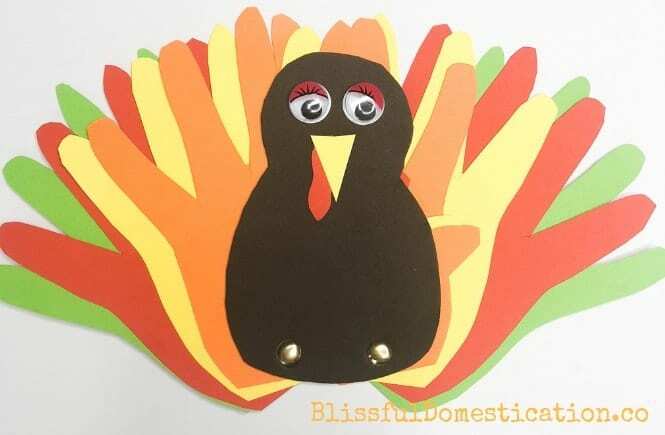 So if you would like to see how easy it is to make your own Thanksgiving Turkey craft then read on, or pin it for later! 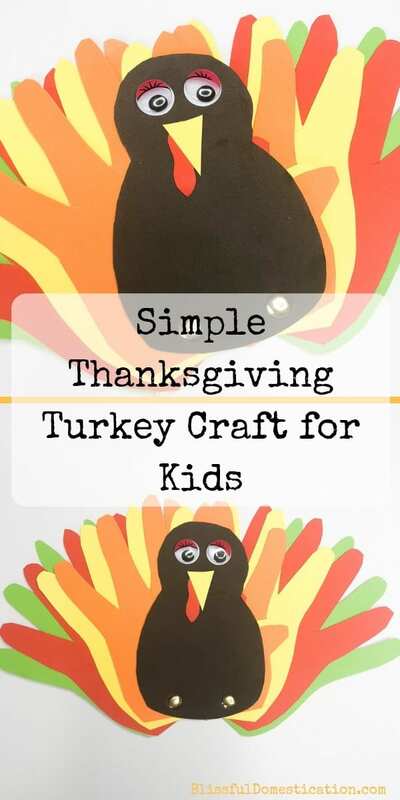 Pin this Simple Thanksgiving Turkey Craft for Kids to refer to later! 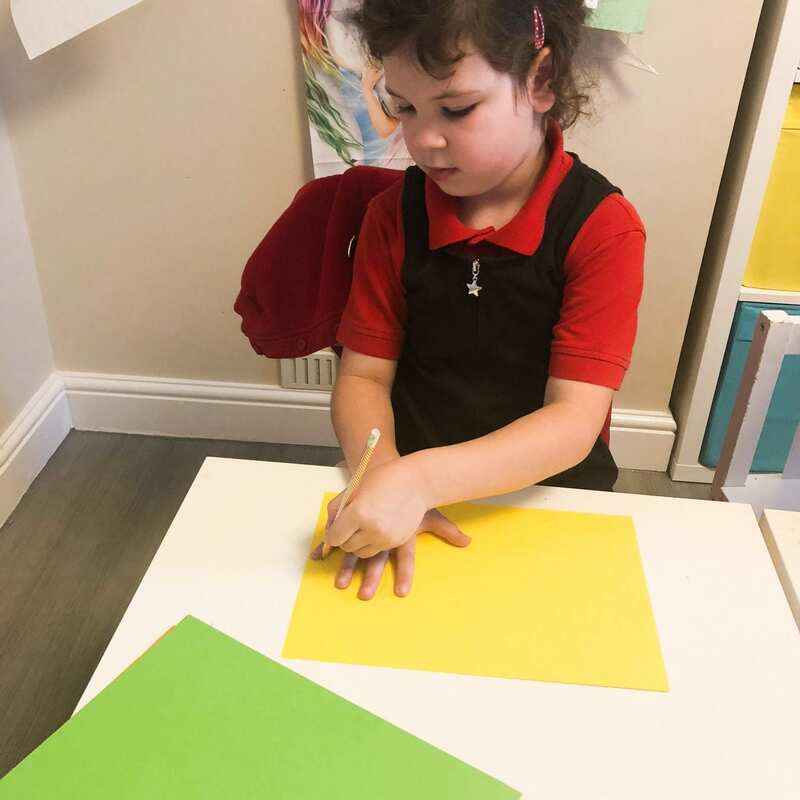 First we traced around Isla’s hands with a pencil onto the coloured card. You will need to do this for younger children, but Isla wanted to do this part herself. We actually drew round both hands on each of the sheets of coloured card. Next cut out the handprints with scissors. This can be quite tricky to get between the fingers so probably best left to an adult. Cut out your turkey head and body from a piece of brown foam. We used foam because it’s what we had but you could equally use a piece of stiff brown card. 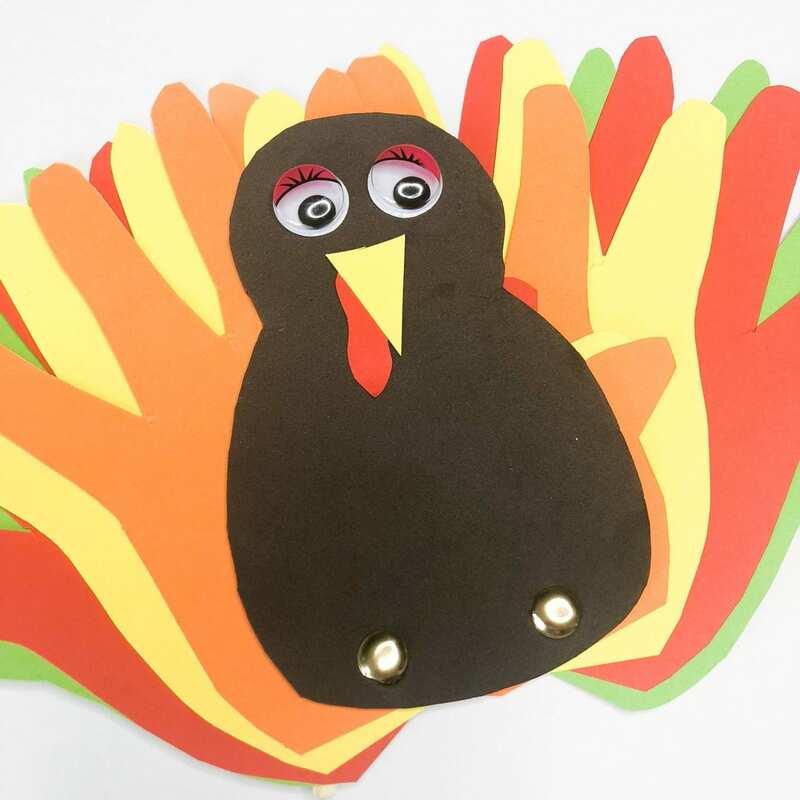 Cut a triangular piece of card from your left over yellow card for the beak and a red curvy piece for the turkey’s wattle. 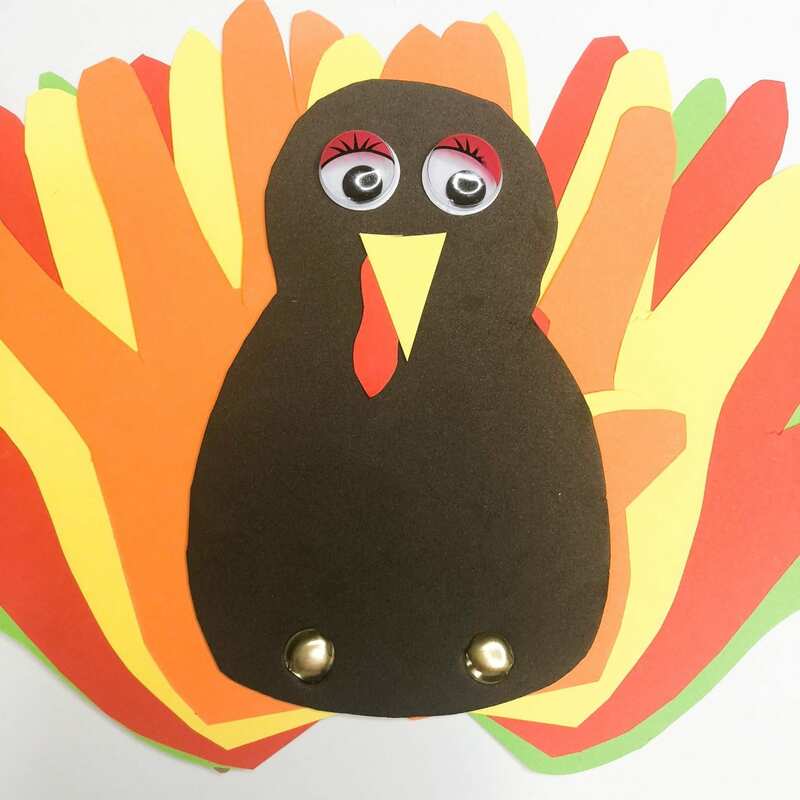 Stick a pair of googley eyes, the beak and wattle onto the turkeys head with stick glue. Using a hole punch, punch two holes at the base of the turkeys body. Then punch a hole in the centre of each handprint. Seperate the handprints into left and right , and secure them to the turkeys body using split pins. You can then fan out the handprints as much as you like. 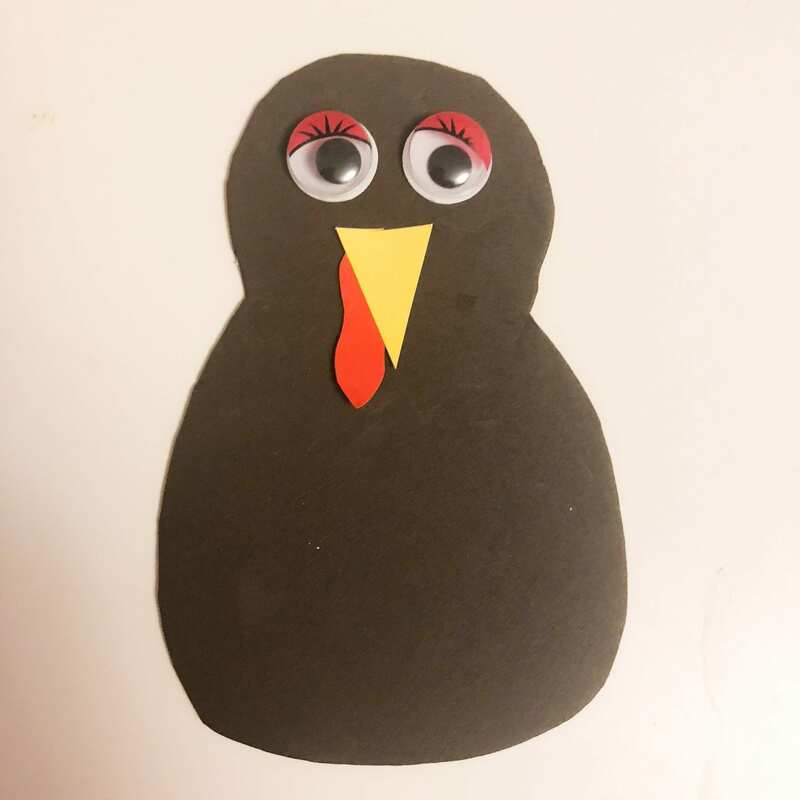 That’s it, super simple Thanksgiving turkey craft. You can even go one step further and get the kids to write on each handprint what they are thankful for. Hopefuly we will get our turkey out in years to come to remind us to be thankful, and what we are thankful for. So what do you think of our Thanksgiving Turkey carft? If you liked this craft , then check out and follow our Pinterest board for more inspiration.